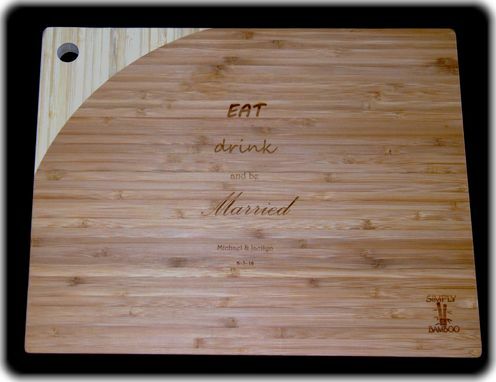 Laser Engrave Bamboo cutting boards. You can use your own image, text, or logo etc. and we will laser engrave it on a bamboo cutting board. If you need inspiration, we can create an image for you. Great for weddings.